Today there was coverage in The Independent, Yorkshire Post, Politics Home and Farming UK on the back of the PAC issuing a report looking at Defra’s progress towards Brexit, which claims there is still a high level of risk in the Department’s portfolio and says Defra is too complacent about the levels of disruption to trade. It goes on to say fundamental issues for food, chemical and animal importers and exporters and shortages of vets are yet to be resolved. We shared the below statement to make clear that we reject the claims put forward and to highlight our strong position as we continue to prepare to leave the EU. We also shared the following background briefing which details the key areas of praise included in the NAO report which were overlooked by the PAC, as well as detailed briefing on each of the key areas of criticism included in the report. We do not accept the PAC’s conclusions which fail to accurately reflect Defra’s preparations for leaving the EU. The PAC have ignored key findings from the National Audit Office, which found that ‘Defra has achieved a great deal and to a very demanding timescale’. In producing this one-sided report, the PAC have failed to acknowledge the substantial progress we have made in replacing EU functions, hiring key staff and building new IT systems. We firmly believe it is in the interests of both the EU and the UK to strike a deal. That remains the goal on both sides and we are confident that this will be achieved. But it is the job of a responsible Government to prepare for all scenarios, including the unlikely event that we reach March 2019 without agreeing a deal. The report says Defra is too complacent about the risk of disruption that UK chemical exporters could face in a no deal scenario. We have set out our negotiated intention to continue our participation in the European Chemicals Agency. If such an agreement is not secured, we are already well advanced in our preparations for establishing the regulatory framework and mechanisms needed to ensure we minimise any impact on the chemicals sector, and maintain protection to human health and the environment. A technical notice setting out the implications for business in the event of a no deal and outlining a number of light-touch transitional measures to minimise disruption and ensure continuity has already been issued on this, and we will continue to engage with businesses to ensure they have the information they need to prepare. In the case of no deal, Defra would establish a UK-specific chemicals regulations framework to replace the EU’s REACH regulation. HSE will act as the lead UK regulatory authority, working with the Environment Agency, building on its existing work in this area. Work is ongoing to fully assess the resource requirements to undertake this function. The report claims there are increased risks to food safety and of smuggling as a result of plans to allow food imports to pass through UK ports without checks following EU exit. Defra’s Permanent Secretary Clare Moriarty made clear at the PAC, the risk on Day 1 has not changed. Our proposals make it no more likely that lower quality food will be entering the UK when we have left the EU. The UK has world-leading standards of food safety and quality, backed by a rigorous legislative framework – this will not change as a result of leaving the EU. Products of animal origin and regulated plant products from the EU are not checked now and won’t be checked post-exit in the short-term. This is because the EU has the same high standards that we do. The checks on smuggling will remain the same as they do now, and our existing standards will be maintained. Outside of the European Union, the UK will remain global leaders in environmental protection and animal welfare standards, maintaining our high-quality produce for British consumers. In a no-deal scenario the UK will be in the same position as other third countries in respect of trade with the EU – meaning trade can continue. Through the publication of a number of technical notices, Defra has issued detailed guidance to a range of sectors from chemicals to animal exports on what preparations should be made in the instance of a no-deal. 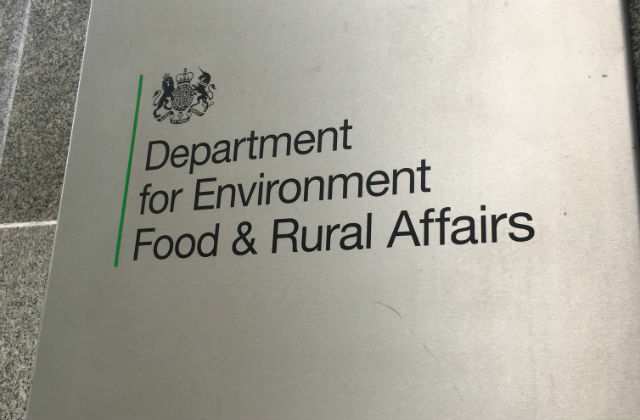 Across the Defra remit, we are working closely with stakeholders and industry groups to ensure they have the support they need, and this engagement will intensify over the coming weeks and months. We have started laying secondary legislation in earnest now, and our schedule was always to lay the bulk of our legislation after October. We have engaged widely with the Devolved administrations, as much of Defra policy is devolved, and Secretary of State has led regular meetings with his counterparts which have been positive and constructive. We recognise that Defra does have a significant amount of legislation to deliver, so we have built additional controls and processes to ensure that we do so effectively. We are on track to lay over fifty pieces of secondary legislation this month. The report says Defra faces a challenge in getting the right staff with the right skills in place to support our work in preparing for Brexit. As the Environment Secretary Michael Gove recently said in his letter to the Environmental Audit Committee, as of 31 September 2018 Defra has recruited over 2000 staff to work on EU exit including fixed term appointments and interims. Over 1800 are already in post with the remainder working through pre-employment processes. Over 80% of Defra’s agenda is affected by Brexit and as a result a number of staff from across the Defra group are now supporting our comprehensive programme of work. However, we are clear this must not impact our commitment to protecting our environment and the vital work our Arms Lengths Bodies do every day. The report calls on Defra to develop a credible plan for increasing vet capacity for export health certificates that does not add to exporters costs. Vets play a crucial role in maintaining the UK’s food safety and upholding our high animal welfare standards; and we recognise many of our vets come from Europe, which is why we have been clear those already registered to work here will not be affected by the UK leaving the EU. We are also working on a variety of initiatives to ensure we have access to the right people with the right skills in this industry. Defra continues to monitor the numbers of vets registered to work in the UK. RCVS figures from March 2018 show an increase of 1,200 UK practising vets compared with the corresponding period in 2017. We are working with industry and the professions and we have plans in place to ease the pressure on the market. Veterinary professionals from the EU who are already registered to work in the UK, will not be affected by the UK leaving the EU and will be able to continue their veterinary practice in the UK. The Prime Minister has been clear that, in any scenario, there is no question of asking EU citizens already resident in the UK to leave. We have been engaging the veterinary market on the potential for increased demand for Official Veterinarians to certify Export Health Certificates for over a year. These businesses are aware of the expected increased demand for export health certificates for exporting foods of animal origin after we leave the EU. The market has spare capacity. Training is available on-demand for vets who may wish to do this work in future and the Animal and Plant Health Agency has well-advanced plans to increase administrative efficiency. On 1 November, the RCVS approved the role of Certification Support Officers to support vets in issuing (but not signing) Export Health Certificates. This should increase the capacity of vets to certify exports. CSOs will carry out more administrative functions required for EHCs, freeing up vets to provide final assurance. Official vets will continue to sign off EHCs. OVs are available across the country and there is no reason to believe the market cannot meet this demand geographically. The report says Defra still has an enormous task leading up to EU Exit, including completing six critical IT systems that have not yet been tested. We are committed to delivering the new import notification system for the end of March. In the event that the system is not ready in time, we will have firm back-up plans in place to ensure that the imports for live animals, animal products and high risk food or feed continues to flow with minimal disruption. Yesterday, Lord Gardiner met with a number of inspiring young people who have been announced as environment ambassadors. As the government’s 2019 ‘Year of Green Action’ gets ready to launch, the ambassadors will encourage more young people to get involved in environmental projects through their school, youth group or local community. 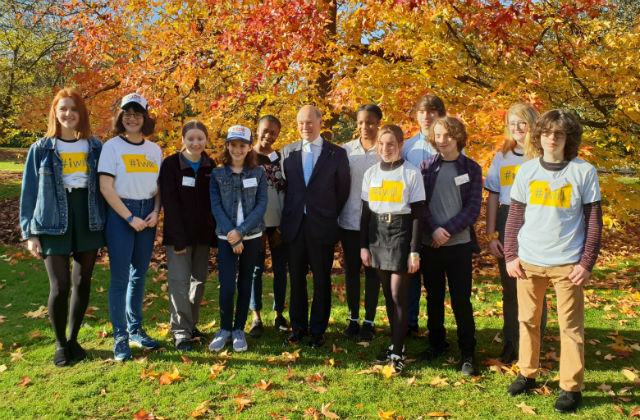 The initiative was launched at a celebratory event at Kew Gardens and is part of Step Up to Serve’s 2019 #iwill campaign, which aims to embed social action into the lives of 10-18 year olds. It comes as the government prepares for its 2019 Year of Green Action, a year-long drive to see more people from all backgrounds involved in projects to improve the natural world. Amongst the ambassadors are teenage sisters Amy and Ella Meek who together founded Kids Against Plastic to cut the single-use packaging. Our children and young people have a huge role to play in ensuring the next generation is motivated and equipped to protect the precious natural world. It was inspiring to meet this group of young ambassadors who are so passionate about environmental protection and I look forward to seeing all they achieve over the coming year.